Bentley Green at Hawk’s Landing constitutes the finest in condo living! Situated at Hawk’s Landing Golf Club between Madison’s Far West Side and Madison’s South West Side just past Highway M between S Pleasant View Rd and Midtown Rd. Large townhouse, ranch style, and rare standalone units with 2-car attached garages comprise this 115 unit luxury condo community which has been described as a “EuroStyle” village. Built beginning in 2008 by Temple Construction and DeNoble Builders with superior quality and craftsmanship, features include private entry, deck/balcony, fully exposed basements with walkout to gorgeous grounds and woodland views. 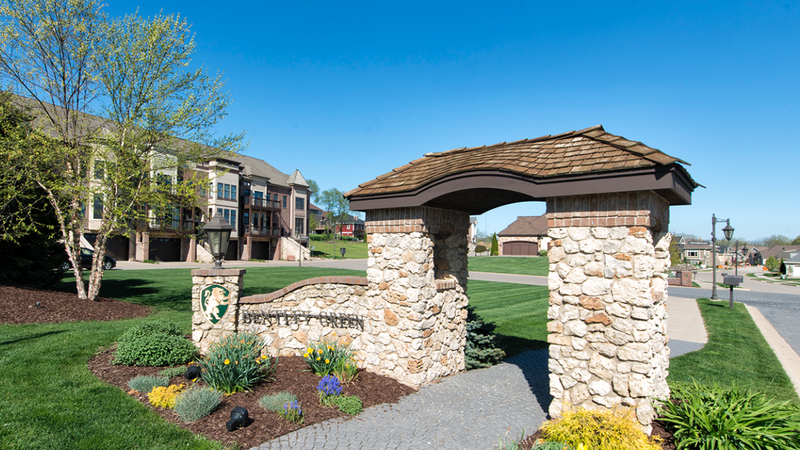 Common amenities include a bike path, pond, quaint stone bridge and golf/putting green! Walk to golf club, cafe, Hawk’s Landing Pool. Rentals allowed, large dogs okay! Can't find what you're looking for? Explore the available inventory at these other fine Far Westside Madison condo developments. Need more information about Bentley Green Condos, Hawk's Landing area homes, or other Far West Side Madison condos? Contact one of our West Madison condo specialists today!